A guest article by Jamey Nunley giving you a beginner’s guide to all things manga and anime. 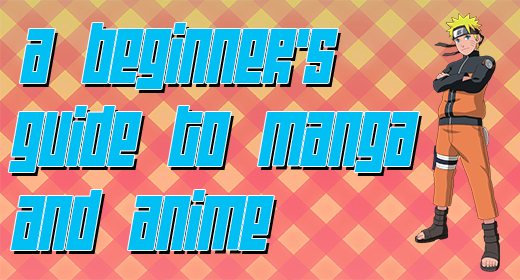 Check out this great beginner’s guide to the world of manga and anime by Jamey Nunley! The simple answer is that a manga is a comic that started off in Japanese, and an anime is the “animated” version of a popular manga. Due to its Japanese origin, the manga panels are read from right to left rather than left to right like in American comics. This actually doesn’t take long to get used to. It’s easy to get lost in the story and not even notice the difference. Modern manga formed after WWII but has roots from the 13th century. With this comes a lot of experience that has molded the story telling into an art form. Modern manga creates loved and hated characters world-wide including Dragonball’s Goku, Agumon from Digimon, and Pokemon’s Pikachu. Why is Anime/Manga such a big deal? There is a manga for everyone because the list of genres are so open. Pick your favorite genre and sub-genre, and you will find something that will make you obsess over it until you’ve watched every episode or read every chapter! From science fiction to business everyone’s interests are covered. There are even manga about tennis and cooking (the cooking manga is one I keep up with myself). TV is something we are all familiar with. If you’re just starting off, I would recommend beginning with a well know anime. Rather than reading the manga, let the show hook you before diving head first into unfamiliar territory. Anime is, after all, more popular in America. I also suggest trying the Japanese versions with English subs—unless you’re watching with young kids. Due to ratings being different in America, the English versions of anime are usually edited of language and some blood/gore which can take away from the masterpiece. If you can’t stand it, however, the English versions are still brilliant. Naruto: This anime is about a rejected, orphaned ninja in training. He is a knuckle-headed prankster with the dream of becoming the number one ninja in the village so that everyone has to “accept him.” He has a never-give-up attitude and has no clue that, in order to save the village, a powerful demon was sealed inside of him the day he was born. Bleach: This is about Ichigo, a high school kid who can see dead people, runs into a “Shinigami” (Grim reaper), and has to help her slay soul-eating demons and aid people’s spirits to the afterlife. Did I mention that these Shinigami use samari swords, and Ichigo’s sword is as big as he is? One Piece: This is about a rubber man named Luffy. At a young age he ate a cursed fruit that gave him a rubber body and took away his ability to swim. Ironically, he dreams of sailing the seas and becoming the king of the pirates. He probably suffers from a serious case of ADHD and is gathering a small crew to search for the legendary treasure “one piece.” He is mostly interested in searching for adventure and never backing down from impossible odds. Podcast Episode 33: Return of the Jedi!